In the Half-Pint Pub, tempers are running hot, any moment things could break down into a full-out brawl... Prove your skill of bar-fighting in Half-Pint Heroes, a new trick-taking game of predicting, betting and winning sets of cards. 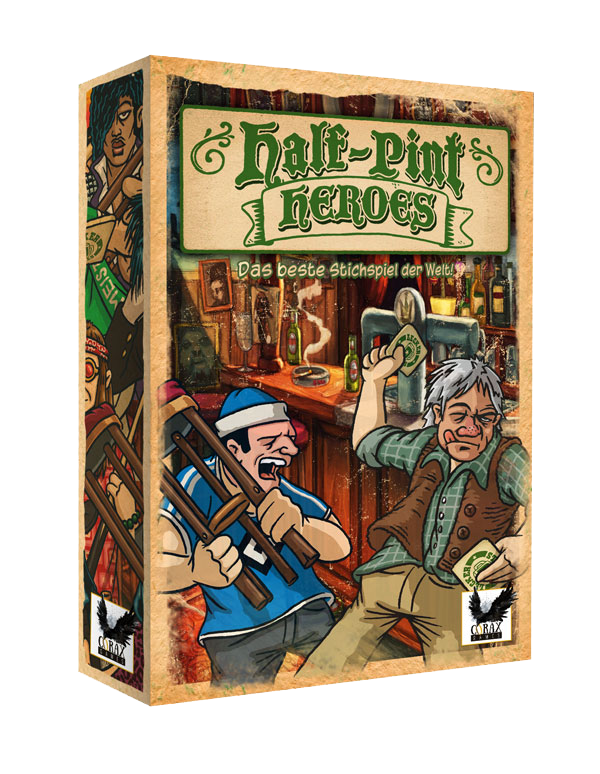 Half-Pint Heroes is an easy to learn, but hard to master, card game for 2-7 players. During 10 rounds you will play sets of cards from your hand to try and beat the sets of your opponents. You'll also need to predict how many sets you'll win each round and bet against your opponents to try to set up a brawl or a shootout! "The game is fun, quick and you can take a lot of laughs from it. The perfect game for a great half an hour between two heavy games, specially with a good beer."